Arnold Schwarzeneggers motion picture career began in 1977 in the critically acclaimed feature-length documentary "Pumping Iron," a behind-the-scenes look at the Mr. Universecompetition. His next role, opposite Sally Field and Jeff Bridges in "Stay Hungry" for director Bob Rafelson, garnered Schwarzenegger a Golden Globe Award as Best Newcomer in Films. In 1978, Arnold retired from professional bodybuilding to pursue a full-time career in acting. He starred with Kirk Douglas and Ann-Margret in the romantic action-comedy western "The Villain" and as Mickey Hargitay in the made-for-TV movie "The Jayne Mansfield Story." Schwarzeneggers breakthrough film role came in 1982 in John Milius "Conan the Barbarian." The film grossed over $100 million worldwide, spawned a popular sequel ("Conan the Destroyer") and earned Schwarzenegger a devoted following. Since 1979, Schwarzenegger has served as the International Weight Training Coach of the Special Olympics. From 1990 to 1993 he served as Chairman of the Presidents Council on Physical Fitness and Sports. He is currently Chairman of the California Governors Council on Physical Fitness and Sports and is the author of numerous best-selling books on fitness and health. He has twice received the Simon Weisenthal Centers National Leadership Award for his support of the organizations Holocaust studies and human rights issues, in 1991 and again in 1997. 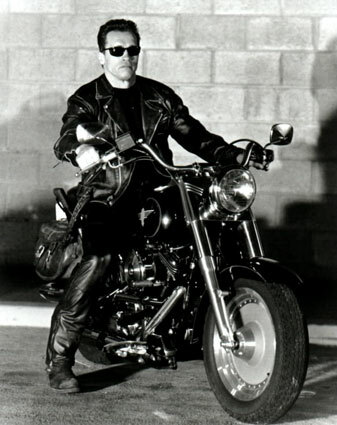 In 1997, Schwarzenegger was also honored by the National Association of Theater Owners with its first-ever Humanitarian Award for his many contributions to the community. Stars like you, and Tom Cruise, are hanging off mountains and doing more than stunts than you used to. Is that true? Arnold: Well I think because if you're known to be an action star, the most important thing you do is that all the action is totally believable, and that the people see your face in it. Therefore, you have to end up doing most of it yourself. The only time you used someone to double you is if it's a life-threatening situation, or if you cannot do something. I think in most cases, you have to do it yourself. On "Sixth Day", I remember the running we did up there on top of the roof, from eight o'clock at night to six in the morning, running up the same steps - it was like 52 steps...and I thought to myself "This is good practice for skiing because it was the perfect skiing exercise. Did you have a close call on the set? Arnold: I have a close call in every one of my movies and they're usually in scenes in which you don't expect them at all. In this particular movie, I was diving in the tank with those clones and life-size embryos and I came out the wrong end, where there was a ceiling above the water. I had no more air in my lungs and luckily, a scuba diver detected my problem and I felt his hand pulling me out of the water in the right direction so I can breathe. I scuba dive all the time and I swim all the time. I just went the wrong direction. Will the doll [in this movie] be available for merchandising? Arnold: I'm always heavily against that stuff because you only do that if it really lends itself but you should never force the issue, much like sequels. If people are really demanding a sequel to a movie, like in my case, "Total Recall", "True Lies" or "Terminator", then you work in that direction. But if no one has ever ask to do a sequel to "Kindergarten Cop" or "Twins", because they are movies that stand by themselves and you don't want to see the same gimmick again, then you stay away from it. You don't look and it and say "Look this made money, let's go for the same cheap shot again and copy it." That's what studios normally do because studio executives are the most uncreative characters out there. Having said all that, where do we stand on the "True Lies" and "Terminator" sequels? Arnold: I would say that "Terminator 3" is being written right now. There is a finished script and it's being rewritten and finalized. "Total Recall" is being rewritten. Unless I can clone myself, I cannot do all these movies at the same time. It takes so much time and you can only do, really, one movie a year, realistically speaking because if you did more than that, than you could not be part of the development of the movie, the marketing of it, the making of the movie and all those kinds of things. I always like to be part of as much of the whole thing from the beginning to the end, because that's what makes it fun. Obviously, Jim Cameron [the director of "Terminator"] has said that he didn't want to do a T3 and I thought you weren't going to do it without him, so what's happened? And what changed your mind? Arnold: The script was really good and I thought that it ought to be made. Cameron explained it very well that he has too many other things that he's planning on and that he doesn't want to do it right now. That was it. I totally understand his point of view and we're such good friends, that we understand each other's point of views and totally respect them. After talking about these films, are you looking at a limited window here where you might be pushing audience's credibility, as you get closer to 60, and if there might be a problem with the audience accepting that? Arnold: Yeah, there could be. You never know how long you can survive as an action star, or as an actor in the first place. The only way you know is when the audience tells you. It's like in politics: Eventually, the audience is going to vote against you and you're out of office. The same is with acting. The audience will let you know when they think it's not believable and that they do not want to see this. So far, no one, in any of my movies, has never mentioned that or questioned the action that they saw in the film. I think that it's also because I make it very believable. My action is much more believable, it just deals much more with character strength and inner strength, rather than just physical strength. In "Sixth Day", it's more inner strength than physical strength because you're not really doing anything that heroic, physically. It's more having the guts and the brains to figure out a way of how can we, instead of fighting each other, get together and work towards a common goal which is to get our family back. In either case, I and my clone think that it's my family but it doesn't matter. We got to save the family. So it took intelligence, it took inner strength to do this, so it was playing much more on that even though there was a lot of action there. Arnie was facing the devil in last year's End of Days, and now he's fighting with himself, playing a clone in the new suspense thriller The Sixth Day. The film opens in time for Christmas, and in a rare interview, Paul Fischer spent close to an hour with the big man himself, on the film's Vancouver set, where they discussed everything from politicians and family, to the demise of Planet Hollywood - oh and of course the movie. The first thing one notices when visiting the set of an Arnold Schwarzenegger film, is his gym trailer. Parked outside the stage door of Vancouver's impressive Lions Gate studios, where Schwarzenegger has been shooting his latest film for several weeks, every conceivable piece of equipment is included, defining, perhaps, who this superstar is. Always obsessed with physical education, Arnold clearly practices what he preaches. "You know, I work out at least twice a day. I do it in the morning when I get up, riding the stationary bicycle in my room, then I come here. I continue during lunch or a break, and then work-out for half-an-hour or forty-five minutes with the weights", the actor explains. He looks as fit as ever, lean and brawn, not bad for a man of 53 who was recently hospitalized for a heart bypass operation. "I've never been better," and it shows. Since the operation, the Austrian ex-Mr Universe has donned his movie muscles, first in the darkly devilish End of Days, and now in another thriller, The Sixth Day. Schwarzenegger knows how to work the room. Affable, friendly and a big talker, the 52-year old superstar begins by giving this journalist a brief neck massage. "You journalists are always so tense", he says laughingly. The actor loves to joke around with cast and crew alike, masking the seriousness in which he takes his profession. On 6th Day, for the first time, Arnold has a producer credit, "just to give me a little bit more control". As for the movie, a timely thriller, British director Roger Spottiswoode (Tomorrow Never Dies) creates a world of the very near future in which cattle, fish and even the family pet can be cloned. But cloning humans is illegal-until family man Adam Gibson (Schwarzenegger) comes home from work one day to find a clone has replaced him. Taken from his family and plunged into a sinister world he doesn't understand, Gibson must not only save himself from the assassins who must now destroy him to protect their secret, but uncover who and what is behind the horrible things happening to him. For the action star, The 6th Day seems something of a departure. "I always look for something different, besides the story and action, as well as something that is timely." In the case of this film, the actor thought a script regarding cloning fitted his criteria. "I said: Gee, on every cover you see today you read about gene therapy, gene manipulation and cloning. Will it ever be allowed? What's happening with animal cloning? There are recently formed companies that actually officially clone animals and pets. As a matter of fact, they came to me for investing in them so I know about this first hand", Schwarzenegger explains enthusiastically. "When you do research for a movie like this, you become exposed to a lot of things that are going on that you normally wouldn't know. I felt that this movie was appropriate with its subject matter, but taking it a step further as is always the case in movies. Suddenly, this guy comes home to his family, but it's not him, but a clone." While for many, the idea of cloning humans seems reprehensible, Schwarzenegger has other thoughts on the subject. "I just think cloning is terrific. I love the whole idea of animal cloning, in that if you have an eagle, a certain fish, a whale or even some kind of tiger that is extinct, you can clone that animal, multiply it by the thousands and not have to worry whether they would have died." He also approves of human cloning "as long as you make sure that it's not going to be used by someone to create his own little army and abuse the thing." Of course, for Arnold, cloning would mean duplicating himself, and that's an idea he loves, "because I want to do so many things in life. It is not just I. You are probably the same. You say to yourself, "Gee, how can I have my family and work? At night, I wonder how I can go to sleep plus direct a movie while in the daytime act in two movies simultaneously, go home and be with the family. Wouldn't that be wild?" Schwarzenegger says boyishly. "Then all my clones could get together and have a meeting, go out again and attack." This philosophy is at odds with the character he plays in 6th Day, however, an interesting dichotomy to be sure. "I actually play someone who is very religious and very much against it. He's very old-fashioned, even uses traditional razors and doesn't even want to go and get another animal when his house pet dies. He simply doesn't believe in cloning and thinks that only God has the right to create a human being." Although 6th Day is not an action thriller on the same level as many of Schwarzenegger's earlier films, he is still defined as one of the major action stars of his generation, and on this film, there's enough running around to tire younger men. For Arnold, the idea of giving up the action game for younger folk is something he won't consider. "I don't think it's really up to me to pass on the torch, as it were, because it's not like you're running a company, where you say: Okay, I'm fifty-years-old now and so I'm going to pass the torch down to a younger generation or to my son. In OUR business you don't make any such decision. The audiences do, and so if they feel like I'm slowing down, they will let me know. He feels as active as ever. "I run as fast, have the energy to stay up all night, jump on the aeroplane and do the stunts that need to be done, so I don't feel like I'm slowing down; I still enjoy doing these kinds of movies." What it doesn't mean is that Arnold won't try anything new. After all, the movies and the action genre are more sophisticated than in his Terminator days. "People don't like just a simple action movie. They like to have more in a movie, more substance than ever before", the actor says. "Those baby boomers that used to like it, have become more sophisticated," mainly due to the demise of the woman's movement that was at its peak during the eighties. "I think that the whole woman's liberation thing is history. That was a time when guys somehow felt powerless and so would run into those action movies to feel as if they should live out some kind of fantasy: The guy is still in charge and he can take care of the job. THAT'S what made those movies really big in the '80s and early '90s, but now that has straightened out," Schwarzenegger says. "Men and women have begun to realise that women are equal to men and they are. There's no longer this need of running to the gym to build their bodies, to make themselves look like heroes, or that need of seeing all these mindless action movies (some of which I did myself)". Yet those 'mindless action movies' turned Schwarzenegger into a star and icon. Looking at him today, it is hard to believe that it is some 20 years since Arnold became a star with the first Conan. Audiences have changed, the action genre is being reinvented and movie making has taken off in leaps and bounds. For Arnold, it's been an interesting process, one that continues through his work in his latest movie. The scene he is currently shooting, is being filmed on a massive soundstage. A giant helicopter is positioned outside a blue screen. The end result is seamless cinema. "All of this technology has happened so slowly over the last twenty years that we are not AS amazed because I see it in front of my eyes, the way we use computers, how they match things together and how I see it replayed today immediately as if I'm out there in a canyon flying; is staggering." What hasn't changed is Hollywood's attitude towards violence and guns. Schwarzenegger refutes the notion that the movie business has to be too careful over the way violence is portrayed - it depends on the movie after all. The actor believes that it is more important "not to throw crap at the audience or at kids" and ensure that guns should be a legitimate part of the film. "You couldn't, in Saving Private Ryan, take guns out of the movie, for example." Or in his classic Terminator, "have him carry flowers around instead of a gun," he adds laughingly. However, Arnold does concede that filmmakers do bear some responsibility in terms of how violence is both conveyed and promoted, and he is prepared to shoulder some of that responsibility. " We are certainly more aware of it in deciding how certain scenes are shot, or even the way a film is marketed: Do you want me to stand there on a poster for a movie pointing a gun in order to sell it, leave the gun down by my side or leave it out completely?" The actor has little time for politicians who equate Hollywood with violence. Schwarzenegger believes that violence in our society is not as insular as the politicians would lead us to believe. "My biggest complaint with the politicians is that the first thing they do is point the finger at Hollywood, which is moronic because that means that you're saying: I have the answer. Nobody has the answer. Therefore what you have to do is take the ten things that could be wrong in our society that you can never pinpoint. You have to say: Okay, let's just say it's the movies, rock music lyrics, the parents' failure to deal with the kids, the politicians' failure to create after school programs to keep them busy and create the right environment. Let's look at any of these different things, any one of which can apply to the influx of violence in our society and respond to all of them. Therefore, if we in the movie business should pull back, so should the rock and roll music. Gun controls should be stiffer, parents should start working harder with their kids, have more control over them and spend more time with them rather than going out to work or being on a golf course five hours a day instead of spending three hours helping their kids with their homework." The actor further believes that "Our politicians should also work harder to make education a priority instead of paying the teachers a measly $25,000 while a lawyer makes a million. They should work on that to elevate the teachers' and schools' importance." The way Arnie talks, you would think he would be running for office himself. Now there's a thought, and perhaps the big man won't rule it out. " Maybe when I get bored with this, who knows?" This is the first interview Schwarzenegger has given in which he has not ruled out an eventual life in politics, believing that he has "more desire than ever to work for people that need help. I see that I have the power to make changes and help people." Which he does. One cannot forget Arnold's work with his inner city games, sports programs for urban youth, the after school and computer programs he helps develop, and his assistance in Special Olympic programs. "I definitely have much more of an urge to do that and less to just think about myself." Life has been an invigorating experience for the actor who came to America as a bodybuilder. But that life could well have been cut short had it not been for the heart surgery he recently went through. Yet Schwarzenegger never thought of the operation from that perspective and rejects the notion that somehow he was given a new lease on life. "I didn't have any weird visions or anything like that. You know, certain people I met in the hospital told me that this was some life altering kind of event by the way they looked at things. I had people come to me and say that they had visions during surgery that they were going through clouds and heaven. I wouldn't know. From my perspective, you fall asleep and when you wake up there's some big guy standing over you saying, 'Okay, I'm going to pull the tube out of your throat. Wait a minute.' That's all I remember, and the fact that the food didn't taste good for the first week or so." Schwarzenegger is not the kind of guy who believed life was precious as a result of his heart surgery, "because it always counted anyway. I don't think I would take life for granted unless I got a disease and someone says that I have six months to live." There's more to Schwarzenegger than meets the eye. 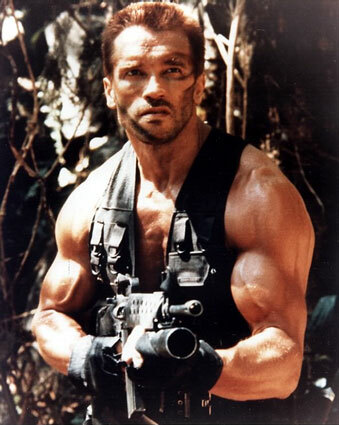 Yes, there's the action star and physical fitness guru, but there's Arnold, art lover. "Every year I'll collect something new" and for potential art investors, he recommends looking at the work of actor-turned-painter, Anthony Quinn. "I got his stuff way back before I ever worked with him and paid $12,000: It's now increased in value to $120,000 in just five years. It's going to be $500,000 if Anthony Quinn, God forbid, should pass away, but the reality is, once these artists are wiped out, their art's value skyrockets 300%. Quinn is an incredible artist and highly respected." While Arnold's art investments may be successful, the same cannot be said for Planet Hollywood, which recently filed for bankruptcy, though the actor quickly admits that he got out of it before it all came crashing down. "If I had been in control of it and it hadn't worked, I would have been pissed off, because then I would have felt like I'd failed. However, since I was never in control of it and could never convince Robert Earl to do certain things, then at least I know I wasn't at fault." Schwarzenegger got out of that restaurant franchise at the right time, he says. "There was a point where I just said: You know, I am going to get out of it. I didn't have the time to resign, to be part of it and remain a partner, I just wanted to get out. I think that I was the only one that made a fortune out of it, because I sold at the right time, as usual." Schwarzenegger's other passion, naturally, is that of fatherhood. Happily married to TV broadcaster Maria Shriver and father of four, the actor talks incessantly about what it is that he loves about being a dad. "A child's brain is the greatest investment you can make" Schwarzenegger begins. "The more that you instil YOUR information in there, as opposed to someone else's, TV's, schools or coaches, the more that you start seeing yourself in front of you. What has been the wildest thing for me, is see my son all of a sudden at the age of six saying things the way I would say them. Not to mention even similar inflections. He might, for instance, say 'Now what is it, mum?' Because he sees me going: 'Now, what is it, Maria? 'Arnold loves spending time helping the kids with their homework because in some cases, it enables him to tap into his own cultural history. "On the way home from Hawaii recently, my daughter's assignment was to interview daddy about Austria. Question. Name ten famous places in Austria, as an example. Then you throw this information, places you have been, you start to visualise, tell them about it and what the place was like, how you got there and they write down all this stuff. You talk about this, and that is what educates them. The brain is an empty bucket the brain which you fill, and I love being a part of that process." Part of that process is the bicultural environment in which Arnold's children grow up. As proud of his American status, he's equally proud of what brought him there. He is still an Austrian. "We eat some of the foods and talk in German many times. There's also the tradition we Austrians have in skiing and insisting that they all must be champion skiers. My ten-year-old and eight-year-old ski down so fast." His kids also accompany him on the set and have a great time, especially his daughters, he says laughingly. "For them the make-up trailer is the most important hang-out place on a movie set. THAT'S where they get their nails and hair done. For them this is the best playground." Family man, entrepreneur, movie star, action hero, art lover: No wonder Herr Schwarzenegger needs a clone, given everything he does. As for his acting, it is on a roll. Following his work on The 6th Day, he begins almost immediately on Warner Bros' Collateral Damage, a revenge thriller about a man obsessed with finding the murderers of his wife and child. "It's another different role for me, and I think will be very exciting." The older he gets, the more he wants to challenge himself, but his criteria for what he'll do remains constant, he insists. "I want to do movies that I think can be popular, that I think will be huge, that could be successful." But maybe, he adds as a final afterthought, he'll "just do a movie because I want to buy another house." Who would have thought that giant of the movie industry would need the money? But then art doesn't come cheap either. The 6th Day opens nationally the week of December 4th.